Aluminium Glass Display Counter. Ideal for high street shops and business. Front of house display, sales till point for retail & high street stores. 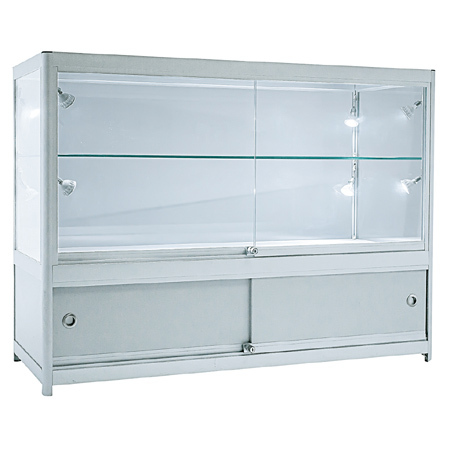 Supplied with lockable sliding doors for the top and bottom glass display and also the bottom storage facility. Standard Aluminium silver profiles with silver/grey panels.